Human skin color ranges in variety from the darkest brown to the lightest hues. An individual's skin pigmentation is the result of genetics, being the product of both of the individual's biological parents' genetic makeup, and exposure to sun. In evolution, skin pigmentation in human beings evolved by a process of natural selection primarily to regulate the amount of ultraviolet radiation penetrating the skin, controlling its biochemical effects. There is a direct correlation between the geographic distribution of ultraviolet radiation (UVR) and the distribution of indigenous skin pigmentation around the world. Areas that receive higher amounts of UVR, generally located closer to the equator, tend to have darker-skinned populations. Areas that are far from the tropics and closer to the poles have lower intensity of UVR, which is reflected in lighter-skinned populations. Researchers suggest that human populations over the past 50,000 years have changed from dark-skinned to light-skinned and vice versa as they migrated to different UV zones, and that such major changes in pigmentation may have happened in as little as 100 generations (≈2,500 years) through selective sweeps. Natural skin color can also darken as a result of tanning due to exposure to sunlight. The leading theory is that skin color adapts to intense sunlight irradiation to provide partial protection against the ultraviolet fraction that produces damage and thus mutations in the DNA of the skin cells. In addition, it has been observed that adult human females on average are significantly lighter in skin pigmentation than males. Females need more calcium during pregnancy and lactation. The body synthesizes vitamin D from sunlight, which helps it absorb calcium. Females evolved to have lighter skin so their bodies absorb more calcium. The emergence of skin pigmentation dates to at about 1.2 million years ago, under conditions of a megadrought that drove early humans into arid, open landscapes. Such conditions likely caused excess UV-B radiation. This favored the emergence of skin pigmentation in order to protect from folate depletion due to the increased exposure to sunlight. A theory that the pigmentation helped counter xeric stress by increasing the epidermal permeability barrier has been disproved. Agouti signalling peptide (ASIP) acts as an inverse agonist, binding in place of alpha-MSH and thus inhibiting eumelanin production. Studies have found two alleles in the vicinity of ASIP are associated with skin color variation in humans. One, rs2424984 has been identified as an indicator of skin reflectance in a forensics analysis of human phenotypes across Caucasian, African-American, South Asian, East Asian, Hispanic and Native American populations and is about three times more common in non-African populations than in Africa. The other allele, 8188G (rs6058017) is significantly associated with skin color variation in African-Americans and the ancestral version occurs in only 12% of European and 28% of East Asian samples compared with 80% of West African samples. In hominids, the parts of the body not covered with hair, like the face and the back of the hands, start out pale in infants and turn darker as the skin is exposed to more sun. All human babies are born pale, regardless of what their adult color will be. In humans, melanin production does not peak until after puberty. Human skin color fades with age. Humans over the age of thirty experience a decrease in melanin-producing cells by about 10% to 20% per decade as melanocyte stem cells gradually die. The skin of face and hands has about twice the amount of pigment cells as unexposed areas of the body, as chronic exposure to the sun continues to stimulate melanocytes. The blotchy appearance of skin color in the face and hands of older people is due to the uneven distribution of pigment cells and to changes in the interaction between melanocytes and keratinocytes. It has been observed that adult human females are consistently lighter in skin pigmentation than males in the same population. This form of sexual dimorphism is due to the requirement in human females for high amounts of calcium during pregnancy and lactation. Breastfeeding newborns, whose skeletons are growing, require high amounts of calcium intake from the mother's milk (about 4 times more than during prenatal development), part of which comes from reserves in the mother's skeleton. Adequate vitamin D resources are needed to absorb calcium from the diet, and it has been shown that deficiencies of vitamin D and calcium increase the likelihood of various birth defects such as spina bifida and rickets. Natural selection has led to females with lighter skin than males in all indigenous populations because women must get enough vitamin D and calcium to support the development of fetus and nursing infants and to maintain their own health. 1959 map of human skin color distribution for native populations, by R. Biassutti in the Von Luschan's chromatic scale for classifying skin color. The map is not precise as R. Biassutti ended up with areas with no data and filled them according to data obtained in other areas. Nevertheless, some social groups favor specific skin coloring. The preferred skin tone varies by culture and has varied over time. A number of indigenous African groups, such as the Maasai, associated pale skin with being cursed or caused by evil spirits associated with witchcraft. They would abandon their children born with conditions such as albinism and showed a sexual preference for darker skin. Many cultures have historically favored lighter skin for women. Before the Industrial Revolution, inhabitants of the continent of Europe preferred pale skin, which they interpreted as a sign of high social status. The poorer classes worked outdoors and got darker skin from exposure to the sun, while the upper class stayed indoors and had light skin. Hence light skin became associated with wealth and high position. Women would put lead-based cosmetics on their skin to whiten their skin tone artificially. However, when not strictly monitored, these cosmetics caused lead poisoning. Other methods also aimed at achieving a light-skinned appearance, including the use of arsenic to whiten skin, and powders. Women would wear full-length clothes when outdoors, and would utilize gloves and parasols. 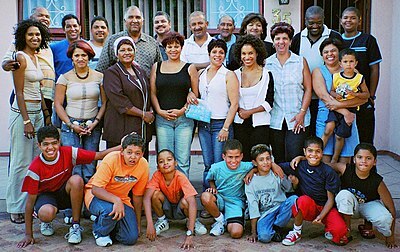 A preference for fair or lighter skin continues in some countries, including Latin American countries where whites form a minority. In Brazil, a dark-skinned person is more likely to experience discrimination. Many actors and actresses in Latin America have European features—blond hair, blue eyes, and pale skin. A light-skinned person is more privileged and has a higher social status; a person with light skin is considered more beautiful and lighter skin suggests that the person has more wealth. Skin color is such an obsession in some countries that specific words describe distinct skin tones - from (for example) "jincha", Puerto Rican slang for "glass of milk" to "morena", literally "brown". In North India, society regards pale skin as more attractive and associates dark skin with lower class status; this results in a massive market for skin-whitening creams. Fairer skin-tones also correlate to higher caste-status in the Hindu social order – although the system is not based on skin tone. Actors and actresses in Indian cinema tend to have light skin tones, and Indian cinematographers have used graphics and intense lighting to achieve more "desirable" skin tones. Fair skin tones are advertised as an asset in Indian marketing. Skin-whitening products have remained popular over time, often due to historical beliefs and perceptions about fair skin. Sales of skin-whitening products across the world grew from $40 billion to $43 billion in 2008. In South and East Asian countries, people have traditionally seen light skin as more attractive, and a preference for lighter skin remains prevalent. In ancient China and Japan, for example, pale skin can be traced back to ancient drawings depicting women and goddesses with fair skin tones. In ancient China, Japan, and Southeast Asia, pale skin was seen as a sign of wealth. Thus skin-whitening cosmetic products are popular in East Asia. Four out of ten women surveyed in Hong Kong, Malaysia, the Philippines and South Korea used a skin-whitening cream, and more than 60 companies globally compete for Asia's estimated $18 billion market. Changes in regulations in the cosmetic industry led to skin-care companies introducing harm-free skin lighteners. In Japan, the geisha have a reputation for their white-painted faces, and the appeal of the bihaku (美白), or "beautiful white", ideal leads many Japanese women to avoid any form of tanning. There are exceptions to this, with Japanese fashion trends such as ganguro emphasizing tanned skin. Skin whitening is also not uncommon in Africa, and several research projects have suggested a general preference for lighter skin in the African-American community. In contrast, one study on men of the Bikosso tribe in Cameroon found no preference for attractiveness of females based on lighter skin color, bringing into question the universality of earlier studies that had exclusively focused on skin-color preferences among non-African populations. Significant exceptions to a preference for lighter skin started to appear in Western culture in the mid-20th century. Though sun-tanned skin was once associated with the sun-exposed manual labor of the lower class, the associations became dramatically reversed during this time—a change usually credited to the trendsetting Frenchwoman Coco Chanel (1883-1971) presenting tanned skin as fashionable, healthy, and luxurious. As of 2017[update], though an overall preference for lighter skin remains prevalent in the United States, many within the country regard tanned skin as both more attractive and healthier than pale or very dark skin. Western mass media and popular culture continued[when?] to reinforce negative stereotypes about dark skin, but in some circles pale skin has become associated with indoor office-work while tanned skin has become associated with increased leisure time, sportiness and good health that comes with wealth and higher social status. Studies have also emerged indicating that the degree of tanning is directly related to how attractive a young woman is. ^ Milburn, Peter B.; Sian, Corazon S.; Silvers, David N. (1982). "The color of the skin of the palms and soles as a possible clue to the pathogenesis of acral-lentiginous melanoma". American Journal of Dermatopathology. 4 (5). Archived from the original on 10 June 2016. Retrieved 30 April 2016. ^ a b c Jablonski, Nina G. (Spring 2011). "Why Human Skin Comes in Colors" (PDF). AnthroNotes. 32 (1). Archived (PDF) from the original on 2014-02-25. Retrieved 2013-07-20. ^ "The Human Family Tree Facts". National Geographic. Archived from the original on 2013-08-05. Retrieved 2013-07-20. ^ a b c d e f g h i j k l m n o p q r Jablonski, Nina (2012). Living Color. Berkeley, Los Angeles, London: University of California Press. ISBN 978-0-520-25153-3. ^ a b c Nina Jablonski and George Chaplin (May 2017). "The colours of humanity: the evolution of pigmentation in the human lineage". Philosophical Transactions of the Royal Society B. 372 (1724): 20160349. doi:10.1098/rstb.2016.0349. ^ a b Jablonski, N. G.; Chaplin, G. (2010). "Colloquium Paper: Human skin pigmentation as an adaptation to UV radiation". Proceedings of the National Academy of Sciences. 107: 8962–8. Bibcode:2010PNAS..107.8962J. doi:10.1073/pnas.0914628107. PMC 3024016. PMID 20445093. ^ a b c d e Jablonski, Nina; Chaplin, George (2000). "The evolution of human skin coloration" (PDF). Journal of Human Evolution. 39 (1): 57–106. doi:10.1006/jhev.2000.0403. PMID 10896812. Archived from the original (PDF) on January 5, 2015. ^ Sturm, R. A. (2006). "A golden age of human pigmentation genetics". Trends in Genetics. 22 (9): 464–469. doi:10.1016/j.tig.2006.06.010. ^ Sturm, R. A.; Teasdale, R. D.; Box, N. F. (2001). "Human pigmentation genes: Identification, structure and consequences of polymorphic variation". Gene. 277 (1–2): 49–62. doi:10.1016/s0378-1119(01)00694-1. PMID 11602344. ^ Ito S, Wakamatsu K, S.; Wakamatsu, K. (Dec 2011). "Diversity of human hair pigmentation as studied by chemical analysis of eumelanin and pheomelanin". J Eur Acad Dermatol Venereol. 25 (12): 1369–80. doi:10.1111/j.1468-3083.2011.04278.x. PMID 22077870. ^ Schneider, Patricia (2003). "The Genetics and Evolution of Skin Color: The Case of Desiree's Baby". RACE – The Power Of An Illusion. Public Broadcasting Service. Archived from the original on 6 May 2015. Retrieved 14 April 2015. ^ Boyd, Robert and Joan B. Silk, How Humans Evolved, 6th edition, W. W. Norton & Company, London, 2012. ^ a b Rogers, Iltis & Wooding 2004, p. 107. ^ a b Elias, PM; Menon, G; Wetzel, BK; Williams, J (2010). "Barrier Requirements as the Evolutionary "Driver" of Epidermal Pigmentation in Humans". American Journal of Human Biology. 22 (4): 526–537. doi:10.1002/ajhb.21043. PMC 3071612. PMID 20209486. ^ a b c d e f Norton, H. L.; Kittles, R. A.; Parra, E.; McKeigue, P.; Mao, X.; Cheng, K.; Canfield, V. A.; Bradley, D. G.; McEvoy, B.; Shriver, M. D. (2006). "Genetic Evidence for the Convergent Evolution of Light Skin in Europeans and East Asians". Molecular Biology and Evolution. 24 (3): 710–22. doi:10.1093/molbev/msl203. PMID 17182896. Archived from the original on 2014-03-14. ^ Juzeniene, Asta; Setlow, Richard; Porojnicu, Alina; Steindal, Arnfinn Hykkerud; Moan, Johan (2009). "Development of different human skin colors: A review highlighting photobiological and photobiophysical aspects". Journal of Photochemistry and Photobiology B: Biology. 96 (2): 93–100. doi:10.1016/j.jphotobiol.2009.04.009. PMID 19481954. ^ Khan, R.; Khan, B.S. Razib (2010). "Diet, disease and pigment variation in humans". Medical Hypotheses. 75 (4): 363–7. doi:10.1016/j.mehy.2010.03.033. PMID 20409647. ^ a b Gibbons, A. (2007). "European Skin Turned Pale Only Recently, Gene Suggests" (PDF). Science. 316 (5823): 364a. doi:10.1126/science.316.5823.364a. PMID 17446367. Archived (PDF) from the original on 2010-11-03. "a suggestion made 30 years ago by Stanford University geneticist L. Luca Cavalli-Sforza … that the early immigrants to Europe … survived on ready-made sources of vitamin D in their diet. But when farming spread in the past 6,000 years, he argued, Europeans had fewer sources of vitamin D in their food and needed to absorb more sunlight to produce the vitamin in their skin." ^ Tellier, Luc-Normand (2009). Urban world history: an economic and geographical perspective. p. 26. ISBN 2-7605-1588-5. ^ Laleuza-Fox, Carles (2007-10-25). "A Melanocortin 1 Receptor Allele Suggests Varying Pigmentation Among Neanderthals". Science. 318 (5855): 1453–5. Bibcode:2007Sci...318.1453L. doi:10.1126/science.1147417. PMID 17962522. ; this study examined the MC1R gene in two European Neanderthal fragments (SD-1252 (Spain) ca. 42 kya; Monti Lessini (Italy) ca. 35 kya); "The impaired activity of this [Neanderthal MC1R] variant suggests that Neanderthals varied in pigmentation levels, potentially on the scale observed in modern humans. Our data suggest that inactive MC1R variants evolved independently in both modern humans and Neanderthals." ^ a b McEvoy, B. (2006). "The genetic architecture of normal variation in human pigmentation: an evolutionary perspective and model". Human Molecular Genetics. 15 (2): 176–181. doi:10.1093/hmg/ddl217. PMID 16987881. Archived from the original on 2013-12-09. ^ a b Sturm, R. A. (2009). "Molecular genetics of human pigmentation diversity". Human Molecular Genetics. 18 (R1): 9–17. doi:10.1093/hmg/ddp003. PMID 19297406. ^ a b c d e f g Belezal, Sandra; Santos, A. M.; McEvoy, B.; Alves, I.; Martinho, C.; Cameron, E.; Shriver, M. D.; Parra, E. J.; Rocha, J. (2012). "The timing of pigmentation lightening in Europeans". Molecular Biology and Evolution. 30 (1): 24–35. doi:10.1093/molbev/mss207. PMC 3525146. PMID 22923467. Archived from the original on 2012-08-29. ^ a b c Edwards, Melissa; Bigham, Abigail; Tan, Jinze; Li, Shilin; Gozdzik, Agnes; Ross, Kendra; Jin, Li; Parra, Esteban J. (2010). McVean, Gil, ed. "Association of the OCA2 Polymorphism His615Arg with Melanin Content in East Asian Populations: Further Evidence of Convergent Evolution of Skin Pigmentation". PLoS Genetics. 6 (3): e1000867. doi:10.1371/journal.pgen.1000867. PMC 2832666. PMID 20221248. ^ a b c Lao, O.; De Gruijter, J. M.; Van Duijn, K.; Navarro, A.; Kayser, M. (May 2007). "Signatures of Positive Selection in Genes Associated with Human Skin Pigmentation as Revealed from Analyses of Single Nucleotide Polymorphisms". Annals of Human Genetics. 71 (3): 354–369. doi:10.1111/j.1469-1809.2006.00341.x. PMID 17233754. ^ Soares, P; Ermini, L; Thomson, N; Mormina, M; Rito, T; Röhl, A; Salas, A; Oppenheimer, S; MacAulay, V; Richards, M. B. (June 2009). "Correcting for purifying selection: an improved human mitochondrial molecular clock". Am. J. Hum. Genet. 84 (6): 740–59. doi:10.1016/j.ajhg.2009.05.001. PMC 2694979. PMID 19500773. ^ a b Rogers, Alan R.; Iltis, David; Wooding, Stephen (2004). "Genetic Variation at the MC1R Locus and the Time since Loss of Human Body Hair". Current Anthropology. 45: 105–8. doi:10.1086/381006. JSTOR 381006. ^ a b c Harding, R; Healy, E; Ray, A; Ellis, N; Flanagan, N; Todd, C; Dixon, C; Sajantila, A; Jackson, I; Birch-Machin, Mark A.; Rees, Jonathan L. (2000). "Evidence for Variable Selective Pressures at MC1R". The American Journal of Human Genetics. 66 (4): 1351–61. doi:10.1086/302863. PMC 1288200. PMID 10733465. ^ Rogers, Alan R.; Iltis, David; Wooding, Stephen (2004). "Genetic variation at the MC1R locus and the time since loss of human body hair". Current Anthropology. 45 (1): 105–124. doi:10.1086/381006. ^ Beleza, Sandra; Johnson, Nicholas A.; Candille, Sophie I.; Absher, Devin M.; Coram, Marc A.; Lopes, Jailson; Campos, Joana; Araújo, Isabel Inês; Anderson, Tovi M.; Vilhjálmsson, Bjarni J.; Nordborg, Magnus; Correia e Silva, António; Shriver, Mark D.; Rocha, Jorge; Barsh, Gregory S.; Tang, Hua (March 2013). "Genetic Architecture of Skin and Eye Color in an African-European Admixed Population". PLoS Genetics. 9 (3): e1003372. doi:10.1371/journal.pgen.1003372. PMC 3605137. PMID 23555287. ^ Candille, Sophie I.; Absher, Devin M.; Beleza, Sandra; Bauchet, Marc; McEvoy, Brian; Garrison, Nanibaa’ A.; Li, Jun Z.; Myers, Richard M.; Barsh, Gregory S.; Tang, Hua; Shriver, Mark D. (31 October 2012). "Genome-Wide Association Studies of Quantitatively Measured Skin, Hair, and Eye Pigmentation in Four European Populations". PLoS ONE. 7 (10): e48294. Bibcode:2012PLoSO...748294C. doi:10.1371/journal.pone.0048294. PMC 3485197. PMID 23118974. ^ Wehrle-Haller, Bernhard (2003). "The Role of Kit-Ligand in Melanocyte Development and Epidermal Homeostasis". Pigment Cell Research. 16 (3): 287–96. doi:10.1034/j.1600-0749.2003.00055.x. PMID 12753403. ^ Reference SNP(refSNP) Cluster Report: rs642742 **clinically associated** Archived 2018-03-28 at the Wayback Machine. Ncbi.nlm.nih.gov (2008-12-30). Retrieved 2011-02-27. ^ a b Miller, Craig T.; Beleza, Sandra; Pollen, Alex A.; Schluter, Dolph; Kittles, Rick A.; Shriver, Mark D.; Kingsley, David M. (2007). "cis-Regulatory Changes in Kit Ligand Expression and Parallel Evolution of Pigmentation in Sticklebacks and Humans". Cell. 131 (6): 1179–89. doi:10.1016/j.cell.2007.10.055. PMC 2900316. PMID 18083106. ^ Pickrell, J. K.; Coop, G; Novembre, J; Kudaravalli, S; Li, J. Z.; Absher, D; Srinivasan, B. S.; Barsh, G. S.; Myers, R. M.; Feldman, M. W.; Pritchard, J. K. (2009). "Signals of recent positive selection in a worldwide sample of human populations". Genome Research. 19 (5): 826–837. doi:10.1101/gr.087577.108. PMC 2675971. PMID 19307593. Archived from the original on 2016-06-26. ^ Reference SNP(refSNP) Cluster Report: rs2424984 Archived 2016-05-01 at the Wayback Machine. Ncbi.nlm.nih.gov (2008-12-30). Retrieved 2011-02-27. ^ a b c Valenzuela, Robert K.; Henderson, Miquia S.; Walsh, Monica H.; Garrison, Nanibaa’ A.; Kelch, Jessica T.; Cohen-Barak, Orit; Erickson, Drew T.; John Meaney, F.; Bruce Walsh, J.; Cheng, Keith C.; Ito, Shosuke; Wakamatsu, Kazumasa; Frudakis, Tony; Thomas, Matthew; Brilliant, Murray H. (2010). "Predicting Phenotype from Genotype: Normal Pigmentation". Journal of Forensic Sciences. 55 (2): 315–22. doi:10.1111/j.1556-4029.2009.01317.x. PMC 3626268. PMID 20158590. Archived from the original on 2013-06-13. ^ HapMap: SNP report for rs2424984. Hapmap.ncbi.nlm.nih.gov (2009-10-19). Retrieved 2011-02-27. ^ "Reference SNP (refSNP) Cluster Report: rs6058017 ** With Pathogenic allele **". Ncbi.nlm.nih.gov. 2006-01-28. Archived from the original on 2015-02-03. Retrieved 2015-02-03. ^ Bonilla, C; Boxill, L. A.; Donald, S. A.; Williams, T; Sylvester, N; Parra, E. J.; Dios, S; Norton, H. L.; Shriver, M. D.; Kittles, R. A. (2005). "The 8818G allele of the agouti signaling protein (ASIP) gene is ancestral and is associated with darker skin color in African Americans". Human Genetics. 116 (5): 402–6. doi:10.1007/s00439-004-1251-2. PMID 15726415. ^ Zeigler-Johnson, C; Panossian, S; Gueye, S. M.; Jalloh, M; Ofori-Adjei, D; Kanetsky, P. A. (2004). "Population Differences in the Frequency of the Agouti Signaling Protein g.8818A>G Polymorphism". Pigment Cell Research. 17 (2): 185–187. doi:10.1111/j.1600-0749.2004.00134.x. PMID 15016309. ^ Mathieson, I.; Lazaridis, I.; Rohland, N.; Mallick, S.; Llamas, B.; Pickrell, J.; Meller, H.; Rojo Guerra, M. A.; Krause, J.; Anthony, D.; Brown, D.; Lalueza Fox, C.; Cooper, A.; Alt, K. W.; Haak, W.; Patterson, N.; Reich, D. (2015). "Eight thousand years of natural selection in Europe". bioRxiv 016477. ^ Ginger, R. S.; Askew, S. E.; Ogborne, R. M.; Wilson, S.; Ferdinando, D.; Dadd, T.; Smith, A. M.; Kazi, S.; Szerencsei, R. T.; Winkfein, R. J.; Schnetkamp, P. P. M.; Green, M. R. (2007). "SLC24A5 Encodes a trans-Golgi Network Protein with Potassium-dependent Sodium-Calcium Exchange Activity That Regulates Human Epidermal Melanogenesis". Journal of Biological Chemistry. 283 (9): 5486–95. doi:10.1074/jbc.M707521200. PMID 18166528. ^ Reference SNP(refSNP) Cluster Report: rs1426654 **clinically associated** Archived 2017-12-05 at the Wayback Machine. Ncbi.nlm.nih.gov (2008-12-30). Retrieved 2011-02-27. ^ Lamason, R. L.; Mohideen, MA; Mest, JR; Wong, AC; Norton, HL; Aros, MC; Jurynec, MJ; Mao, X; Humphreville, VR; Humbert, J. E.; Sinha, S; Moore, J. L.; Jagadeeswaran, P; Zhao, W; Ning, G; Makalowska, I; McKeigue, P. M.; O'Donnell, D; Kittles, R; Parra, E. J.; Mangini, N. J.; Grunwald, D. J.; Shriver, M. D.; Canfield, V. A.; Cheng, K. C. (2005). "SLC24A5, a Putative Cation Exchanger, Affects Pigmentation in Zebrafish and Humans". Science. 310 (5755): 1782–6. Bibcode:2005Sci...310.1782L. doi:10.1126/science.1116238. PMID 16357253. ^ a b c Stokowski, R; Pant, P; Dadd, T; Fereday, A; Hinds, D; Jarman, C; Filsell, W; Ginger, R; Green, M; Van Der Ouderaa, Frans J.; Cox, David R. (2007). "A Genomewide Association Study of Skin Pigmentation in a South Asian Population". The American Journal of Human Genetics. 81 (6): 1119–32. doi:10.1086/522235. PMC 2276347. PMID 17999355. ^ a b Soejima, Mikiko; Koda, Yoshiro (2006). "Population differences of two coding SNPs in pigmentation-related genes SLC24A5 and SLC45A2". International Journal of Legal Medicine. 121 (1): 36–9. doi:10.1007/s00414-006-0112-z. PMID 16847698. ^ a b Ang, K. C.; Ngu, M. S.; Reid, K. P.; Teh, M. S.; Aida, Z. S.; Koh, D. X.; Berg, A; Oppenheimer, S; Salleh, H; Clyde, M. M.; Md-Zain, B. M.; Canfield, V. A.; Cheng, K. C. (2012). "Skin Color Variation in Orang Asli Tribes of Peninsular Malaysia". PLoS ONE. 7 (8): e42752. Bibcode:2012PLoSO...742752A. doi:10.1371/journal.pone.0042752. PMC 3418284. PMID 22912732. Archived from the original on 2013-05-21. ^ Reference SNP(refSNP) Cluster Report: rs16891982 **clinically associated** Archived 2016-04-16 at the Wayback Machine. Ncbi.nlm.nih.gov (2008-12-30). Retrieved 2011-02-27. ^ Soejima, M; Tachida, H; Ishida, T; Sano, A; Koda, Y (January 2006). "Evidence for Recent Positive Selection at the Human AIM1 Locus in a European Population". Molecular Biology and Evolution. 23 (1): 179–188. doi:10.1093/molbev/msj018. PMID 16162863. Archived from the original on 2014-09-06. ^ Reference SNP(refSNP) Cluster Report: rs1042602 **clinically associated** Archived 2016-04-16 at the Wayback Machine. Ncbi.nlm.nih.gov (2008-12-30). Retrieved 2011-02-27. ^ Shriver, M. D.; Parra, E. J.; Dios, S; Bonilla, C; Norton, H; Jovel, C; Pfaff, C; Jones, C; Massac, A; Cameron, N; Baron, A; Jackson, T; Argyropoulos, G; Jin, L; Hoggart, C. J.; McKeigue, P. M.; Kittles, R. A. (2003). "Skin pigmentation, biogeographical ancestry and admixture mapping" (PDF). Human Genetics. 112 (4): 387–399. doi:10.1007/s00439-002-0896-y (inactive 2018-05-28). PMID 12579416. Archived from the original (PDF) on 2012-04-15. ^ Reference SNP(refSNP) Cluster Report: rs1800414 Archived 2018-03-28 at the Wayback Machine. Ncbi.nlm.nih.gov (2008-12-30). Retrieved 2011-02-27. ^ Donnelly, Michael P.; Paschou, Peristera; Grigorenko, Elena; Gurwitz, David; Barta, Csaba; Lu, Ru-Band; Zhukova, Olga V.; Kim, Jong-Jin; Siniscalco, Marcello; New, Maria; Li, Hui; Kajuna, Sylvester L. B.; Manolopoulos, Vangelis G.; Speed, William C.; Pakstis, Andrew J.; Kidd, Judith R.; Kidd, Kenneth K. (2012). "A global view of the OCA2-HERC2 region and pigmentation" (PDF). Human Genetics. 131 (5): 683–696. doi:10.1007/s00439-011-1110-x. PMC 3325407. PMID 22065085. Archived from the original (PDF) on 2013-11-03. ^ Reference SNP(refSNP) Cluster Report: rs2031526 Archived 2018-03-28 at the Wayback Machine. Ncbi.nlm.nih.gov (2008-12-30). Retrieved 2011-02-27. ^ Myles, S; Somel, M; Tang, K; Kelso, J; Stoneking, M (2006). "Identifying genes underlying skin pigmentation differences among human populations". Human Genetics. 120 (5): 613–621. doi:10.1007/s00439-006-0256-4. PMID 16977434. ^ Reference SNP(refSNP) Cluster Report: rs885479 Archived 2016-09-19 at the Wayback Machine. Ncbi.nlm.nih.gov (2008-12-30). Retrieved 2011-02-27. ^ Shi, Peng; Lu, Xue Mei; Luo, Huai Rong; Xiang-Yu, Jin-Gong; Zhang, Ya Ping (2001). "Melanocortin-1 receptor gene variants in four Chinese ethnic populations". Cell Research. 11 (1): 81–4. doi:10.1038/sj.cr.7290070. PMID 11305330. ^ Reference SNP(refSNP) Cluster Report: rs1805007 Archived 2016-11-08 at the Wayback Machine. Ncbi.nlm.nih.gov (2008-12-30). ^ Reference SNP(refSNP) Cluster Report: rs1805008 Archived 2016-11-08 at the Wayback Machine. Ncbi.nlm.nih.gov (2008-12-30). ^ Reference SNP(refSNP) Cluster Report: rs1805009 Archived 2016-11-08 at the Wayback Machine. Ncbi.nlm.nih.gov (2008-12-30). ^ Reference SNP(refSNP) Cluster Report: rs1805005 Archived 2018-03-28 at the Wayback Machine. Ncbi.nlm.nih.gov (2008-12-30). ^ Reference SNP(refSNP) Cluster Report: rs2228479 Archived 2018-03-28 at the Wayback Machine. Ncbi.nlm.nih.gov (2008-12-30). ^ Valverde, P; Healy, E; Jackson, I; Rees, J. L.; Thody, A. J. (1995). "Variants of the melanocyte-stimulating hormone receptor gene are associated with red hair and fair skin in humans". Nature Genetics. 11 (3): 328–30. doi:10.1038/ng1195-328. PMID 7581459. ^ "Reference SNP (refSNP) Cluster Report: rs1126809 ** With Pathogenic allele **". Ncbi.nlm.nih.gov. 2006-01-28. Archived from the original on 2015-07-22. Retrieved 2015-02-03. ^ "Reference SNP (refSNP) Cluster Report: rs1800401 ** With Pathogenic allele **". Ncbi.nlm.nih.gov. 2006-01-28. Archived from the original on 2015-02-03. Retrieved 2015-02-03. ^ Reference SNP(refSNP) Cluster Report: rs4911414 **clinically associated** Archived 2018-03-28 at the Wayback Machine. Ncbi.nlm.nih.gov (2008-12-30). Retrieved 2011-02-27. ^ Reference SNP(refSNP) Cluster Report: rs1015362 **clinically associated** Archived 2018-03-28 at the Wayback Machine. Ncbi.nlm.nih.gov (2008-12-30). Retrieved 2011-02-27. ^ Nan, Hongmei; Kraft, Peter; Hunter, David J.; Han, Jiali (2009). "Genetic variants in pigmentation genes, pigmentary phenotypes, and risk of skin cancer in Caucasians". International Journal of Cancer. 125 (4): 909–17. doi:10.1002/ijc.24327. PMC 2700213. PMID 19384953. ^ Kovacs, Christine (2008). "Vitamin D in pregnancy and lactation: maternal, fetal, and neonatal outcomes from human and animal studies". American Journal of Clinical Nutrition. 88 (2): 520S–528S. doi:10.1093/ajcn/88.2.520S. PMID 18689394. ^ Costin and Hearing; Hearing, V. J. (2007). "Human skin pigmentation: Melanocytes modulate skin color in response to stress". FASEB Journal. 21 (4): 976–994. doi:10.1096/fj.06-6649rev. PMID 17242160. ^ Cummings (2011). Human Heridity Principles and Issues'. Cengage 9th edition. Retrieved 2014-02-16. ^ BBC (27 July 2008). "Tanzania Albinos Targeted Again". BBC News (online edition). Retrieved 2010-01-03. ^ Halder, RM; Chappell, JL (2009). "Vitiligo update". Seminars in Cutaneous Medicine and Surgery. 28 (2): 86–92. doi:10.1016/j.sder.2009.04.008. PMID 19608058. ^ Nath, S. K.; Majumder, P. P.; Nordlund, J. J. (1994). "Genetic epidemiology of vitiligo: multilocus recessivity cross-validated". American Journal of Human Genetics. 55 (5): 981–90. PMC 1918341. PMID 7977362. ^ Agar, N; Young, A. R. (2005). "Melanogenesis: a photoprotective response to DNA damage?". Mutation Research/Fundamental and Molecular Mechanisms of Mutagenesis. 571 (1–2): 121–132. doi:10.1016/j.mrfmmm.2004.11.016. PMID 15748643. ^ Fitzpatrick, T. B. (2003). "Normal skin color and general considerations of pigmentary disorders". Fitzpatrick's Dermatology in General Medicine. New York: McGraw-Hill. pp. 819–825. ^ "Fitzpatrick Skin Type" (PDF). Australian Radiation Protection and Nuclear Safety Agency. Archived from the original (PDF) on 31 March 2016. Retrieved 24 May 2016. ^ Vorobey, P; Steindal, AE; Off, MK; Vorobey, A; Moan, J (2006). "Influence of human serum albumin on photodegradation of folic acid in solution". Photochemistry and Photobiology. 82 (3): 817–22. doi:10.1562/2005-11-23-RA-739. PMID 16454580. ^ Frost, P. (2005). Fair Women, Dark Men. The Forgotten Roots of Color Prejudice. Christchurch (New Zealand): Cybereditions. pp. 60–2. ^ Jablonski. The Evolution of Human Skin Color (PDF). p. 600. ^ Relethford, J. H. (2002). "Apportionment of global human genetic diversity based on craniometrics and skin color". American Journal of Physical Anthropology. 118 (4): 393–8. CiteSeerX 10.1.1.473.5972. doi:10.1002/ajpa.10079. PMID 12124919. ^ Parra, E. J.; Kittles, R. A.; Shriver, M. D. (2004). "Implications of correlations between skin color and genetic ancestry for biomedical research" (PDF). Nature Genetics. 36 (11s): 54–60. doi:10.1038/ng1440. PMID 15508005. Archived (PDF) from the original on 2015-06-10. ^ Parra, FC, F. C.; Amado, R. C.; Lambertucci, J. R.; Rocha, J.; Antunes, C. M.; Pena, S. D. J. (2003). "Color and genomic ancestry in Brazilians". Proceedings of the National Academy of Sciences. 100 (1): 177–182. Bibcode:2002PNAS..100..177P. doi:10.1073/pnas.0126614100. PMC 140919. PMID 12509516. ^ a b Kruszelnicki, Karl (March 1, 2001). "News in Science: Skin Colour 1". abc.net.au. Archived from the original on December 28, 2013. Retrieved May 25, 2014. ^ Agredano (February 2006). "Accessibility to air travel correlates strongly with increasing melanoma incidence". Melanoma Research. 16 (1): 77–81. doi:10.1097/01.cmr.0000195696.50390.23. PMID 16432460. Archived from the original on 2011-05-15. ^ Hall, Ron (1997). "The Psychogenesis of Color Based Racism: Implications of Projection for Dark-Skinned Puertorriqueños" (PDF). Julian Samora Research Institute, Michigan State University. Archived from the original (PDF) on January 6, 2011. Retrieved 2012-09-25. ^ "What Are "Good Looks"?". Kenyon College. Archived from the original on 2014-10-13. Retrieved 2014-03-23. ^ "The Paper Bag Test". St. Petersburg Times. 2003-08-31. Archived from the original on 2013-08-06. Retrieved 2014-03-23. ^ "For Light-Skinned Only?". 2007-08-16. Archived from the original on 2014-03-17. Retrieved 2014-03-23. ^ a b Nelson, Jill (1997). "Straight, No Chaser—How I Became a Grown-Up Black Woman— WHO'S THE FAIREST OF THEM ALL?" (PDF). New York Times. Archived (PDF) from the original on 2011-05-10. Retrieved 2009-11-06. As a girl and young woman, hair, body, and color were society's trinity in determining female beauty and identity... We learn as girls that in ways both subtle and obvious, personal and political, our value as females is largely determined by how we look. ^ "Documentary, Studies Renew Debate About Skin Color's Impact". Pittsburgh Post-Gazette. 2006-12-26. Archived from the original on 2014-01-30. Retrieved 2014-03-23. ^ "Racism Takes Many Hues". Miami Herald. 2007-08-24. Archived from the original on 2013-02-23. Retrieved 2014-03-23. ^ Quinonez, Ernesto (2003-06-19). "Y Tu Black Mama Tambien". Archived from the original on 2008-10-27. Retrieved 2008-05-02. ; Fletcher, Michael A. (2000-08-03). "The Blond, Blue-Eyed Face of Spanish TV". Washington Post. Retrieved 2012-08-18. ; "Blonde, Blue-Eyed Euro-Cute Latinos on Spanish TV". Latinola.com. 2010-10-24. Archived from the original on 2017-09-02. Retrieved 2012-08-18. ; "Latinos Not Reflected on Spanish TV". Vidadeoro.com. 2010-10-25. Archived from the original on 2017-09-09. Retrieved 2012-08-18. ; "What are Telenovelas? – Hispanic Culture". Bellaonline.com. Archived from the original on 2017-06-22. Retrieved 2012-08-18. ; Fletcher, Michael A. (2000-08-06). "Racial Bias Charged On Spanish-Language TV". Sun-Sentinel. Archived from the original on 2011-09-13. Retrieved 2012-08-18. ; "Black Electorate". Black Electorate. 2 January 2001. Archived from the original on 20 June 2017. Retrieved 2012-08-18. ^ a b c d e Jones, Vanessa E. (2004-08-19). "Pride or Prejudice?". Boston Globe. Archived from the original on 2011-05-12. Retrieved 2014-03-23. ^ Sidner, Sara (9 September 2009). "Skin whitener advertisements labeled racist". CNN. Archived from the original on 12 September 2009. Retrieved 2009-09-11. 'We always have a complex towards a white skin, towards foreign skin or foreign hair,' Jawed Habib says. Habib should know. He owns a chain of 140 salons located in India and across the world. 'We Indian people, we Asian people are more darker, so we want to look more fair.' … A marketing study found sales for skin whitening creams have jumped more than 100 percent in rural India and sales for male grooming products are increasing 20 percent annually. ^ Saxena, Shobhan (26 April 2009). "Caste: Racism in all but name?". Times of India. New Delhi. Retrieved 2012-09-20. ^ Vaidyanathan, Rajini (5 June 2012). "Has skin whitening in India gone too far?". London: BBC News. Archived from the original on 6 September 2012. Retrieved 2012-09-20. ^ Lakshmi, Rama (27 January 2008). "In India's Huge Marketplace, Advertisers Find Fair Skin Sells". Washington Post. Washington DC. Archived from the original on 10 October 2013. Retrieved 2012-09-20. ^ "Bleaching Creams: Fade to Beautiful?". Northwestern University. 2010-03-10. Archived from the original on July 20, 2011. Retrieved 2014-03-23. ^ "Skin Deep: Dying to be White". CNN. 2002-05-15. Archived from the original on 2010-04-08. Retrieved 2014-03-23. ^ Skin whitening big business in Asia Archived 2010-07-26 at the Wayback Machine. Pri.Org. Retrieved 2011-02-27. ^ Mowbray, Nicole (4 April 2004). "Japanese girls choose whiter shade of pale". London: Guardian Unlimited. Retrieved 2010-05-24. ^ "The Heavy Cost of Light Skin". BBC News. 2000-04-18. Archived from the original on 2014-03-23. Retrieved 2014-03-23. ^ "Mirror mirror on the wall, who is the FAIREST of them all?" Skin lightening Archived 2010-09-10 at the Wayback Machine. Scienceinafrica.co.za. Retrieved 2011-02-27. ^ Color Counts: "... it is evident that differing color holds considerable importance within the black community and is measurably influencing self-esteem, prestige, and marital status." |USA Today (Society for the Advancement of Education) Archived 2014-03-30 at the Wayback Machine. questia.com. Retrieved 2012-09-25. ^ Dixson, Barnaby J.; Dixson, Alan F.; Morgan, Bethan; Anderson, Matthew J. (2006). "Human Physique and Sexual Attractiveness: Sexual Preferences of Men and Women in Bakossiland, Cameroon". Archives of Sexual Behavior. 36 (3): 369–75. doi:10.1007/s10508-006-9093-8. PMID 17136587. ^ Singer, Merrill; Beyer, Hans (28 July 2008). Killer Commodities: Public Health and the Corporate Production of Harm. AltaMira Press. p. 151. ISBN 0-7591-0979-6. Retrieved 2009-09-11. Harris investigated the history of the parasol... everywhere ordinary people were forbidden to protect themselves with such devices "pallid skin became a marker of upper-class status". At the beginning of the 20th Century, in the United States, lighter-skinned people avoided the sun... Tanned skin was considered lower class. ^ Koskoff, Sharon (28 May 2007). Art Deco of the Palm Beaches. Arcadia Publishing. p. 2. ISBN 0-7385-4415-9. Retrieved 2009-09-11. In 1920s France, the caramel-skinned entertainer Josephine Baker became a Parisian idol. Concurrently, fashion designer Coco Chanel was "bronzed" while cruising on a yacht. A winter tan became a symbol of the leisure class and showed you could afford to travel to exotic climates. ^ Geller, A. C.; Colditz, G.; Oliveria, S.; Emmons, K.; Jorgensen, C.; Aweh, G. N.; Frazier, A. L. (1 June 2002). "Use of Sunscreen, Sunburning Rates, and Tanning Bed Use Among More Than 10 000 US Children and Adolescents". Pediatrics. 109 (6): 1009–1014. doi:10.1542/peds.109.6.1009. ^ Broadstock, Marita; Borland, Ron; Gason, Robyn (2006-07-31). "Effects of Suntan on Judgements of Healthiness and Attractiveness by Adolescents". Journal of Applied Social Psychology. 22 (2): 157–172. doi:10.1111/j.1559-1816.1992.tb01527.x. Archived from the original on 2013-01-05. ^ Leary, Mark R.; Jones, Jody L. (2006-07-31). "The Social Psychology of Tanning and Sunscreen Use: Self-Presentational Motives as a Predictor of Health Risk". Journal of Applied Social Psychology. 23 (17): 1390–1406. doi:10.1111/j.1559-1816.1993.tb01039.x. Archived from the original on 2013-01-05. ^ Balkaran, Steven (1999). "Mass Media and Racism". Archived from the original on 2011-11-24. ^ Leary, Mark R.; Jones, Jody L. (1993). "The Social Psychology of Tanning and Sunscreen Use: Self-Presentational Motives as a Predictor of Health Risk". Journal of Applied Social Psychology. 23 (17): 1390–406. doi:10.1111/j.1559-1816.1993.tb01039.x. ^ Banerjee, S. C.; Campo, S; Greene, K (2008). "Fact or wishful thinking? Biased expectations in "I think I look better when I'm tanned"". American Journal of Health Behavior. 32 (3): 243–52. doi:10.5555/ajhb.2008.32.3.243 (inactive 2018-05-28). PMID 18067464. Archived from the original on 2014-03-24. Holick, Michael F. (2004). "Sunlight and vitamin D for bone health and prevention of autoimmune diseases, cancers, and cardiovascular disease". The American Journal of Clinical Nutrition. 80 (6 Suppl): 1678S–88S. doi:10.1093/ajcn/80.6.1678S. PMID 15585788.